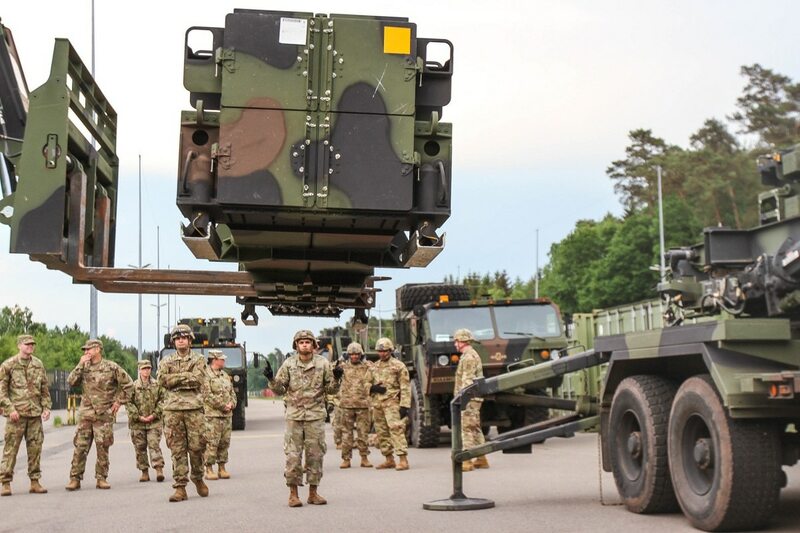 WASHINGTON — The U.S. Army plans to pay for 100 of the newest variant of Patriot missiles using proceeds from the sale of old missiles to the United Arab Emirates, according to a reprogramming request sent to Congress in June. The request to shift fiscal 2018 funding must clear the House and Senate defense committees in order to be approved. The service is trying to grow its annual capacity of Patriot Advanced Capability-3 Missile Segment Enhancement missiles from the current 240 annual capacity to 350 in FY2020. To buy 100 PAC-3 MSEs, the Army has sold 100 PAC-3 Patriot Guidance Enhanced Missile-Tactical missiles to the UAE, collecting $363 million in proceeds from that sale, the reprogramming document notes. This is just one of the ways that Lockheed will double its PAC-3 MSE line to 500 missiles annually in the coming years as it tackles exploding orders of the missile from not only the U.S. Army but its allies like Poland, Romania and Sweden. Just among those three countries, Lockheed would build 576 PAC-3 MSEs. The Army is reaching full-rate production for its PAC-3 MSE and has decided to increase the stockpile on hand as operations overseas continue to eat up the inventory. The service had planned to buy roughly 95 missiles per year from FY18 through FY22, but a year later the service increased the 2018 order from 93 to 240 to include those bought with overseas contingency operations funds. In FY19, the Army asked for 240 missiles again, with base orders for the missile in FY21 and FY22 totaling 160 each year. The Army’s deputy chief of staff for logistics said he is concerned about the service’s shrinking munitions stockpile. The Army’s plans to dramatically increase its PAC-3 MSE production going forward has seen unanimous congressional approval, although the final FY19 defense appropriations bill has yet to become law. House and Senate appropriators are fully funding the production of 179 MSE missiles in FY19 in the base budget. The MSE version has a larger, dual-pulse, solid-fuel rocket motor and larger control fins that double the missile’s reach and improve performance against evolving ballistic and cruise missiles.